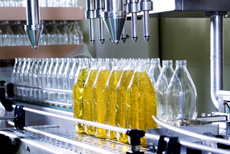 As a food and beverage processor or distributor, your company tackles the challenges of managing industry-specific requirements and legal mandates. Not only must you efficiently fill customer orders, manage recipes, control inventory, and plan production in an increasingly competitive environment, you also must comply with increasing government regulations. Accessing the information required for government reporting (including Bioterrorism Act, HACCP, and more) involves time-consuming labor. Sage X3 helps your company comply by providing a convenient and efficient way to gather and monitor relevant process information and eliminating manual procedures throughout the manufacturing process. To help minimize the risks of a product recall, Sage X3 provides complete forward and backward lot traceability for each ingredient and end-item. It even maintains a full audit trail, so you'll have an historical record of transactions for multiple years. And the fully integrated quality control process rigorously enforces inspections. Fine-tuned to meet your specific industry requirements, Sage X3 provides the advanced functionality you need to be successful in the face of difficult challenges.